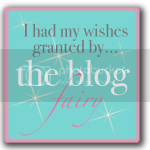 I have a stack of photos to unload for this post, don't usually like to stack them all together like this but none of them really are enough for one post so this will be a conglomeration of what I have been doing recently! I received a lovely Barbeque book from the lovely George as part of my last swap parcel. 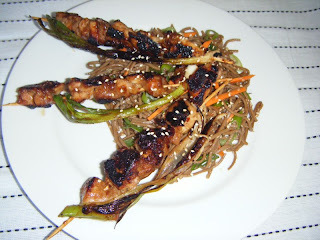 I have been salivating over many of the recipes including the one I made the other night, Ginger Hoisin Chicken Skewers. 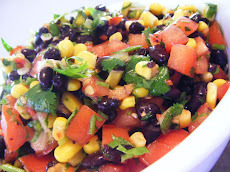 Typically BBQ food, lovely and easy plus very tasty. I used my trusty soy chilli paste to give it a bit of extra kick and it was perfect. My son's friend who stayed for dinner wasn't quite prepared for it though and politely tried to eat it while guzzling glasses and glasses of water - poor young man. I did tell him he could leave it but he soldiered through it!!! 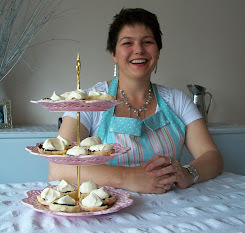 I loved it though and will be making it again! I couldn't get the spring onions to bend onto the skewers well enough, so only a couple had them on it. Cut thighs into 2.5cm cubes. Combine everything except spring onions and add chicken to coat evenly. Cover and refrigerate 30 mins. 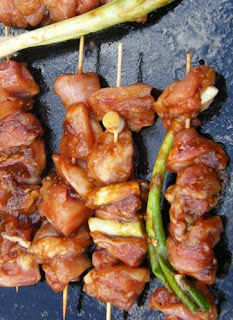 Divide chicken cubes evenly onto skewers. Thread a spring onion over the end of each skewer, to form a bow shape round the chicken peices. 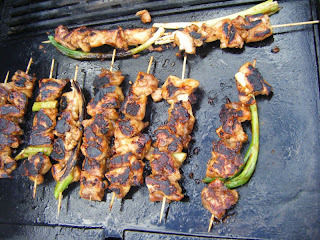 Grill on a BBQ until chicken is opaque with no trace of pink, approx 5 mins each side. To go with this I found a yummy soba noodle dish in the same book. I was pleased to be able to use the noodles I had bought at Moore Wilson's, they are so yummy! Again this serves 4 and I wish I had made more as they would have been lovely the next day for lunch. 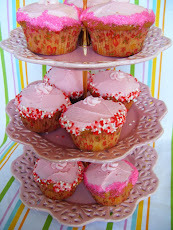 Alas they were all devoured! Toast sesame seeds in a dry pan over a low heat until nutty and brown. Set aside. Cook noodles in a large pan of boiling water until tinder but firm, about 5 mins. Drain and rinse in cold water to cool completely. Drain again. Place in a bowl, add sesame seeds, soy sauce and sesame oil. Mix gently to coat noodles. Serve chilled or at room temperature. A couple of nights ago I did a cobble together of a few of my current favourites, including the moonblush tomatoes from Nigella Express. I had made some of these and also roasted aubergine, red pepper, zuchini, red onion and garlic. 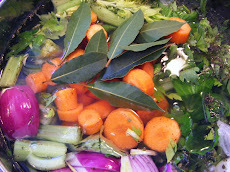 I roasted them with olive oil and some dried herbs my sister in law gave me, in a very hot oven. 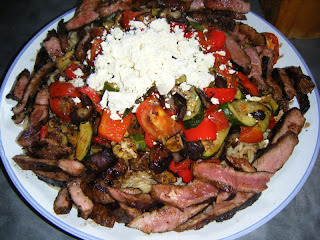 I then stirred through the tomatoes to make a kind of ratatouille and served it atop a huge plate of spaghetti, topped it with crumbled feta and some sliced lamb leg steaks. It was delicious and plentiful, more than enough leftover for the next day! Another yummy and quick dinner was Tuna, Corn and Spring Onion Fritters. 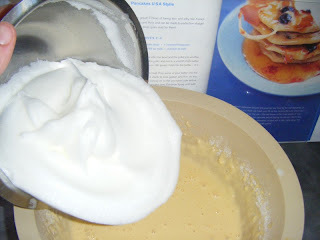 The original idea for the recipe came fromDestitute Gourmet but I have since altered the recipe and now use Jamie Olivers pancake recipe from Happy Days with the Naked Chef, which I love as it makes them lovely and light. He suggest putting the corn on the top as you fry them but I just bung in the tuna, corn and spring onion, fold it through and then fry them in the pan. it is now ready to use. 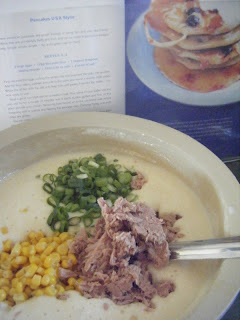 I stir through the corn etc here, (I use 1 tin tuna drained, 2 c corn, 3 spring onions finely sliced). Heat a non-stick pan on a medium heat. Pour a little oil onto some kitchen paper and spread onto the pan. Pour some of your batter into the pan and fry for a couple of minutes until it starts to look golden and firm. At this point, sprinkle your chosen flavoring onto the uncooked side before loosening with a spatula and flipping the pancake over. Continue frying until both sides are golden. You can make these pancakes large or small, to your liking. 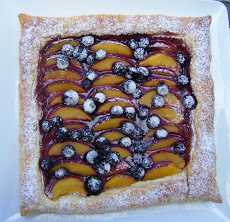 I served these with sour cream and sweet chilli sauce (although chutney would also work well) and a salad. Technically muesli isn't baking but it does require the oven! 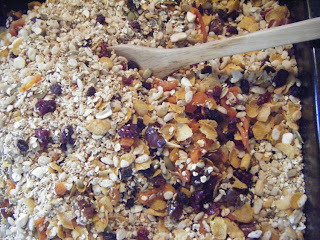 I love making my own muesli and no longer follow a recipe, just bung lots of things in really! Generally I use a rolled oat 'base' and always toast it with about 1/2 runny honey. When toasting I usually put in some coconut too. I seperately toast almonds, cashews and pumpkin or sunflower seeds then stir that through. I then put in an assortment of dried fruit, like cranberries, apricots, raisins, apple, chopped dates. I mix that through and then to make it attractive to the kids (and a little lighter) I pop in a couple of handfuls of cornflakes and ricies. This makes a ridiculous amount, lasts us about 2 weeks. 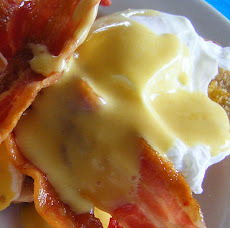 I have a yoghurt maker which gets pulled out to make a great accompaniment to this lovely breakfast food! 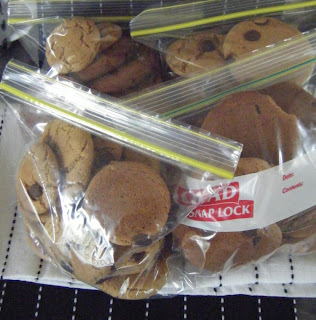 Lastly, I decided I needed to make some biscuits for the kids lunchboxes and wanted to try something new. 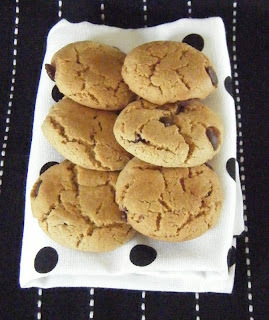 I found a recipe for Peanut butter chocolate chip cookies and although these look kind of nice, I wasn't that impressed with them, they are the gooey kind of cookie and I can't get past wanting them to be crispy! 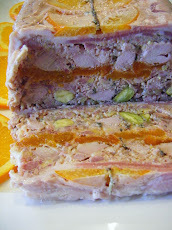 The recipe was unusual so am not going to include it as I would have to type it out and I just don't think it is worth recommending! 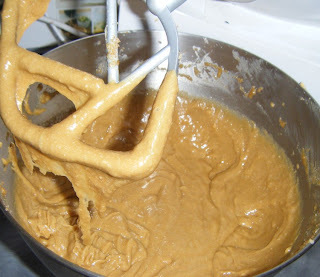 What was unusual was the creaming of the peanut butter and butter, with the sugar and eggs and golden syrup, it just didnt look right. 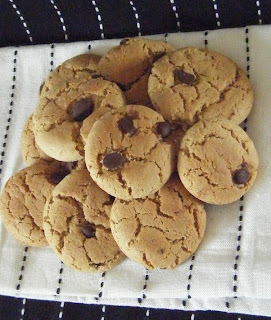 When I added the flour, baking soda and choc chips it seemed to go very tough, in fact I broke my wooden spoon trying to mix it! 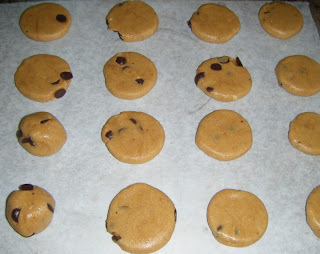 The next part that didn't seem right was putting the dough on the tray without flattening it, I tried it first without flattening and then did the rest flattened before baking. To be honest, they looked alot better without flattening first! The kids did enjoy them though and as I doubled the recipe it made plenty to go in the freezer for future lunchboxes and after school snacks! 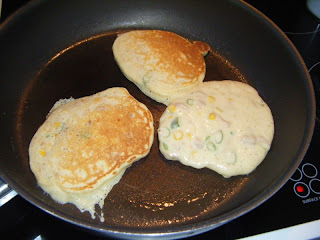 Those tuna, corn and scallion fritters caught my eye, I think I'm going to give those a try.